South-eastern Nigeria was one of the initial 12 states created during the Nigerian Civil War, which later broke into the present Akwa Ibom State and Cross River State. South-east became the name of one of the six geo-political zones in the country in the 1990s consisting of Abia State, Anambra State, Ebonyi State, Enugu State and Imo State. The local language in this region is Igbo. Before the British colonial government, South-eastern Nigeria was home to many ethnic groups such as the Igbo, Ijaw, Ibibo, and Efik. These groups mostly had democratic systems of government and several kingdoms, such as Nir Akwa Akpa (Calabar), Aro Confederacy and Opobo which were huge influences in the region. Abia State was created out of the old Imo State on 27th August 1991 with its capital as Umuahia. The state has 17 Local Government Areas which include Aba-North, Aba-South, Arochukwu, Bende, Ikwuano, Isala-Ngwa North, Isiala-Ngwa South, Isikwato, Umu-Nneochi, Obi Ngwa, Ohafia, Osisoma Ngwa, Ugwunagbo, Ukwa-East, Ukwa-West, Umuahia-North, Umuahia-South. The name ‘Abia’ is an acronym from the first letters of four groups of people – Aba, Bende, Isuikwuato and Afikpo, now in Ebonyi State. Abia State is bordered on the north and north-east by Anambra, Enugu and Ebonyi, to the east and south-east by Cross River and Akwa Ibom, to the south by Rivers and to the west by Imo. It has heavy rainfall of about 2,400mm per year between April to October, and the most important rivers in the state are the Imo and Aba rivers that flow into the Atlantic Ocean. Abia is one of the nine states of the Niger Delta region - an area well known to cover the oil-producing states of the country. Abia is not just an oil-producing state though; it also adds a rich agricultural importance to the economy of Nigeria with crops like yam, maize, potatoes, rice, cashew, plantain and cassava. The people of Abia are of the Igbo ethnic extraction with their traditional language as Igbo with English serving as the official language in governance and business. The state has a total of 5,243.7square kilometres land mass with an estimated population of over 3million people which are mainly Christians and entrepreneurial. They are recognised and reputed to be industrious, highly market-oriented and very hospitable. The closest airports to Abia State are Sam Mbakwe Cargo Airport, Owerri, which is an hour’s drive away; Port Harcourt International Airport, two hours drive away; and Akwa Ibom Airport which is about 45 minutes drive away. Rail is another means of travel, but currently under revitalisation. The coastal parts of the state are equally accessible by boat or canoe. Some important cities and towns are Umuahia, Aba, Arochukwu, Ohafia, Bende, Omoba, etc. National Museum of Colonial History, Aba (showcases Nigeria of the colonial era, and contains relics of the slave trade, European imperialism, etc. ), Arochukwu Cave (this was used for consultative purposes and as a court of law during the slave trade era). Azumini Blue River (a sparkling blue river which is surrounded by fine sands and glassy stones. By its banks are beautiful beaches which provide pleasant places for leisure, fishing, boating, yachting and skiing). Akwete Weavers (Akwete is a small town known for its speciality in the production of Akwete cloth using fabricated handlooms. This traditional cloth has beautiful designs made from various materials as cotton, silk etc. The cloth is used in producing assorted styles of wears and souvenirs item like caps, head-gears, handbags, shoes etc.). Anambra State was founded in 1976 from the old East Central State with its administrative capital at Enugu. A further reorganization of the Nigerian federation in 1991 saw the state divided into two states, Anambra and Enugu states with its new capital at Awka. Anambra State is an inland state with its capital in Awka. The people of the state are warm, hospitable and extremely enterprising and could be found engaging in trading all over the country. The state is made up of 21 Local Government Areas. The state is largely occupied by the Igbo ethnic group who by nature are farmers, fishermen, artisans, craftsmen and traders. Crops grown by farmers here are yam, palm produce, rice, cassava, cocoyam, vegetables, and different varieties of fruit trees among others. They are also engaged in fishing, principally those living in the riverine areas of the state, while their craftsmanship is generally recognized as evident in the iron smithing works of Awka people, the bronze sculptures/arts of Igbo Ukwu, etc. The state is also endowed with natural gas, crude oil, bauxite, ceramics and arable soil. The state’s name comes from ‘Oma Mbala', the native name of the Anambra River. Anambra State is located in the south-central area of southeastern Nigeria. With Imo State, it forms the heartland of Igbo land. It has a projected population of 7,821,850 million people and is reputed to have the highest population density in Africa with an estimated density of 1500 – 2000 persons per square kilometre. Its boundaries are formed by Imo and Rivers to the south, Delta State to the west, Enugu State to the east and Kogi State to the north. Anambra state is renowned for its numerous works of art which explain the avalanche of art centres and artists found in the state. The state is home to magnificent bronze works, iron works, pottery, and artists rank the state in the league of the most cultural endowed states in Nigeria. The capital of the Anambra is Akwa but Onitsha and Nnewi are the largest commercial and industrial cities, respectively. The population of these cities is 98% Igbo and 2% Igala, who are mostly from the north-western part of the state. Anambra is rich in natural gas, crude oil and ceramics, and has almost completely arable soil. Some important cities and towns include Onitsha, Nnewi, Obosi, Ogidi, Abagana, Alor, Atani, Nnewi, Nkpor, Nnobi, Adazi Nnukwu, Adazi Enu, Adazi Ani, Oba, Ukpo, Umudioka, Okija, Awka-Etiti, Ekwulobia, Aguleri, Umuleri, Ihiala, Nanka, Agulu, Ozubulu, Oraifite, Isuofia, Igbo-Ukwu, and Ichida. Egbe Cham (are Dane guns used for hunting and ceremonies in pre-colonial days and most of these are of cast iron and locally made, and powered by gunpowder and were used by the Igbo even before recorded history. Aluminium Pot Molding (production here involves a high level of artistry and efficiency which is shown by a large number of finished products crafted on daily basis). Igbo-Ukwu Bronzes (Igbo-Ukwu an ancient town and renowned cradle of Igbo civilisation is home bronze artefacts dating back to the 9th century A.D which was first discovered in 1938). Ogba Waterfalls, Owerre-Ezukala (the astonishing part of this attractive waterfall is that the water that falls on the heap of rock below forms a glittering rainbow colour that leaves a tourist gaping in wonder). Rojenny Tourist Village, Oba (provides an exotic tropical atmosphere for relaxation, picnicking, cultural entertainment and nature conservation). Agulu Lake (natural lake with a width of about 7km and it is rich in aquatic life, such as rare species of crocodiles, fish etc.). Idemili Cultural Centre (a magnificent building owned by the Chief Priest of Agulu Lake and it presents a beautiful panoramic view of the lake). Odinani Museum (core collections here include a wide array of sculptural works, paintings, carvings, pottery, traditional costumes, ancient war equipment and metal works). Ikenga Virgin Forest (the only known virgin forest in Nigeria as the thick forest reserve, composed of tall evergreens, climbers and thick shrubs recognised to be the home of many species of animals that have gone extinct in other regions of the country). Butu Lake, Omogho (provides water for irrigation of nearby rice and vegetable farmsteads during the hot/dry season). Okpu Ana Natural Spring, Ukpor (forms a stream at the bottom, which has a beautiful bet of white clay, presenting an exclusively surreal atmosphere). Obu Ofo-Nri Museum (has a wide range of collections of works of arts with other crafts hips and galleries in Nri where tourist can easily purchase various works of arts on display). Agulu/Nanka Erosion Site (gully of about 200metres deep and extensive site covering several square kilometres). The River Niger Bridge (is the gateway between the east and western Nigeria, spanning across River Niger). Onitsha Main Market (acclaimed to be the largest market in West Africa where all forms of trades are transacted on a daily basis). The capital of Ebonyi State is Abakaliki. The state was among the new additions made by the then Military Head of State, Gen. Sani Abacha in 1996. It was carved out of the old Abakaliki division of Enugu State and the old Afikpo division of Abia State and it is nicknamed “the Salt of the Nation” for its massive salt deposit at the Okposi and Uburu salt lakes. The state is divided into 13 Local Government Areas and has an approximate population of 5million people spread across 5,935 square kilometres. The state is dominated by the Igbos with other minority ethnic groups from bordering states. Ebonyi is primarily agricultural and stands out as a leading producer of rice, yam, potatoes, maize, beans and cassava. Apart from agriculture, the state also has deposits of crude oil and natural gas. Fishing is also carried out in Afikpo. 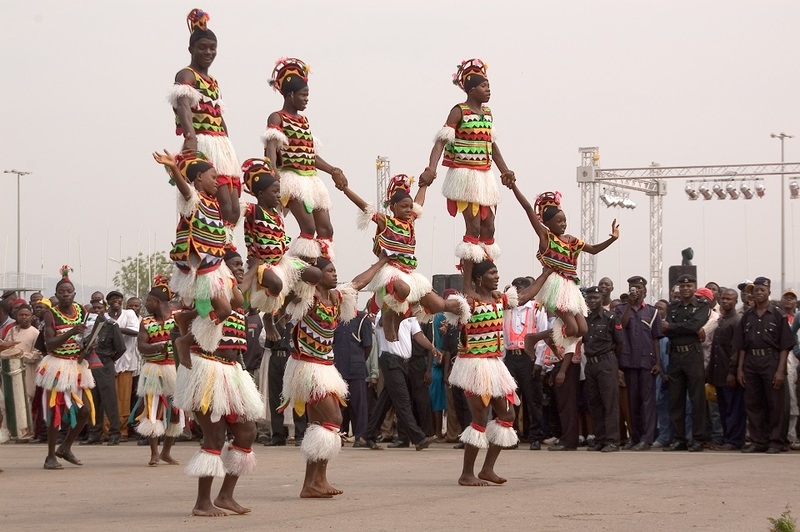 There are nine major first languages spoken in Ebonyi State. These languages are all sub-groups of the Igbo language spoken by all Igbo people of south-eastern Nigeria. Notable cities and towns in Ebonyi State include Abakaliki, Afikpo, Amasiri, Edda, Ikwo, Ishiagu, Nkalagu, Okposi, Onicha, Onueke, Uburu, Unwana, etc. Amanchore Cave (its height is about 3m with multiple narrow tunnels, which extend to different directions). Unwana and Ndibe Sand Beaches (found in Afikpo North LGA, the two beaches are part of widespread scenic golden sand beaches along Cross River basin and are ideal centres for relaxation, sunbathing, swimming, sports fishing, canoe-racing, and yachting). Abakaliki Golf Course (has a modern golfing terrain with its undulating knolls). 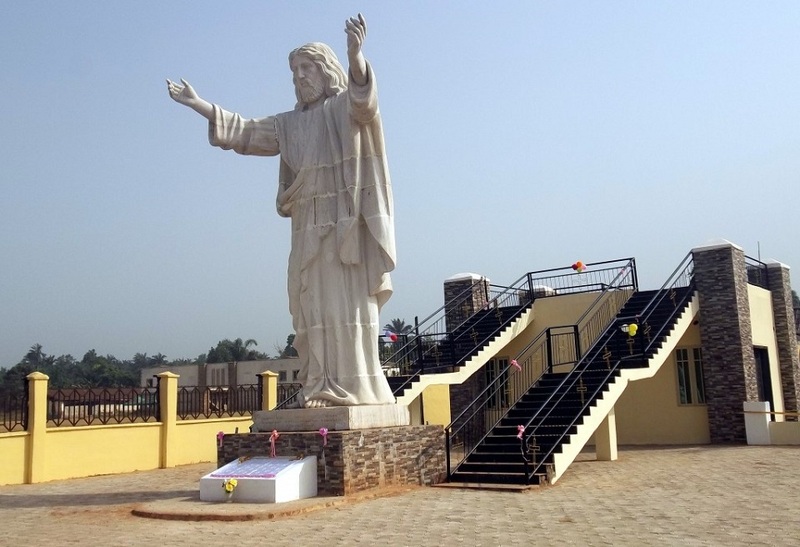 Fati Abubakar Park (beautifully built in the traditional culture of Ebonyi State, the park offers a place for amusement and relaxation for children and adults). 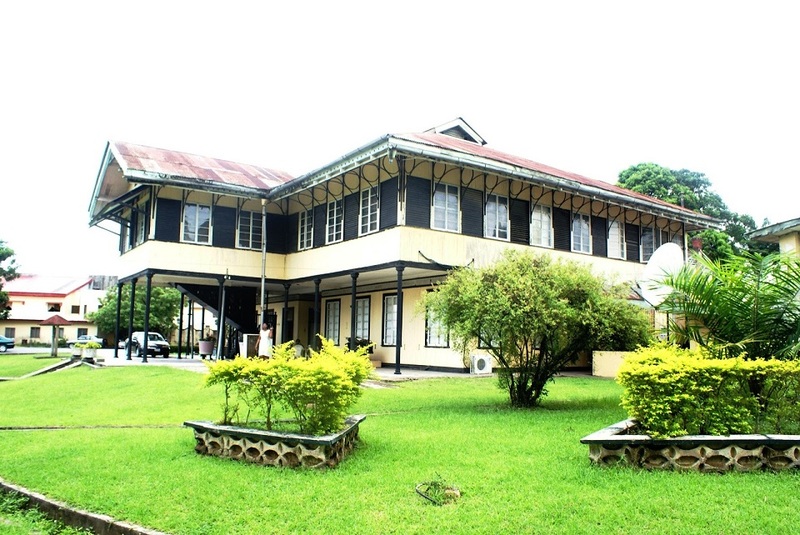 Abakaliki Green Lake (served as a leisure and relaxation centre for the colonial masters). Ogbodu Conical Mound (served as a pre-colonial defence and military observation post). Slave Market Route, Ezza (market route was where slaves were traded before being moved to places for trade during the slave and intertribal war years). Enugu State was founded on August 27, 1991, with the city of Enugu as its capital. In 1967, when the Gowon administration created twelve states in Nigeria, Enugu remained the capital of the East Central State of Nigeria, one of the three states carved out of the old Eastern Region. The state is an inland state with its capital in Enugu city. It derives this name from the capital city, Enugu (translated ‘top of hill’) which was recognized in 1912 as a small coal mining town, but later expanded to become the capital of the former Eastern Region of Nigeria. 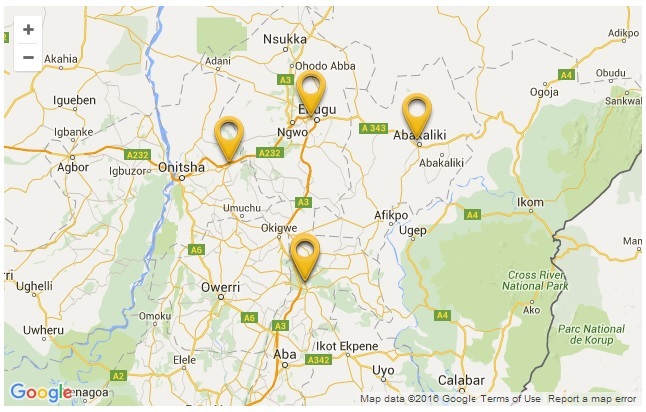 The state shares boundaries with Abia, Imo, Ebonyi, Benue, Kogi and Anambra. 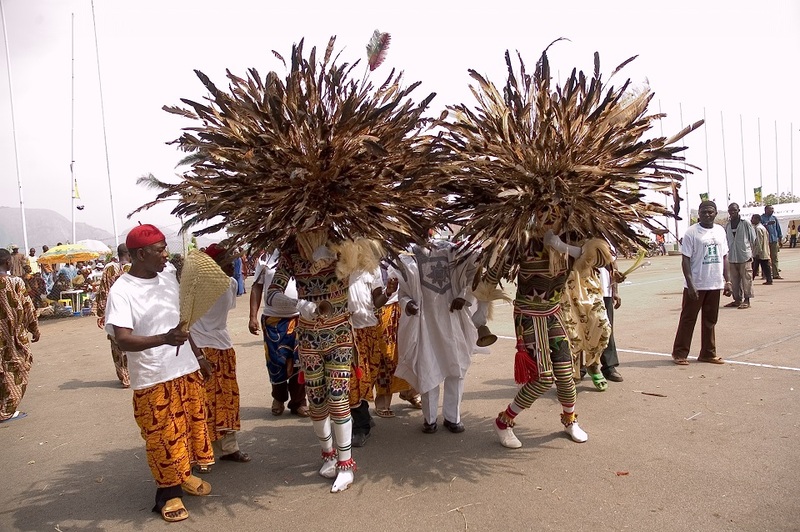 The state is predominantly inhabited by the Igbo ethnic group, which has two important annual Igbo traditional festivals; the New Yam festival and the Mmanwu festival. The new yam festival also is known as ‘Iwa ji’, is held between August and October commemorating the harvesting and feasting of the new yam which is a cultural symbol for the Igbo people. The festival which showcases African culture and traditions is a modern is organised by the Enugu Council of Arts and Culture. The festival has in the past been witnessed by notable figures such as Princess Diana of Wales who was a prominent spectator of the 1990 edition of the festival. Enugu is blessed with favourable climatic conditions all year round. Economically, the state is predominantly rural and agrarian, with a substantial proportion of its working population engaged in farming - although trading and services are also important. In the urban area's trading is the dominant occupation, followed by services. The people of the state are cheerful, hospitable and vastly enterprising and could be found engaged in trading all over the country. Some important cities and towns include Nsukka, Oji River, Awgu, Nkanu, Lejja, Amaokwe, Umana, Achi, Opi, Ezeagu, lnyi and Ngwo (9th Mile), Nenwe and Oduma etc. Nike Lake Resort (an ideal spot for relaxation, picnicking, weddings, private parties and banquets). Iheneke Lake (a tropical lake with maximum density during the warmest season, and is comfortable for rest and relaxation). Opi Lake Complex (is a conglomerate of eight natural lakes within a community in an intricate arrangement beautified by the surrounding wooded environment and breathtaking landscape inhabited by crocodiles). Silicon Hill (which is more than 300m above sea level and almost half a kilometre long has strong “silica” deposit which an important raw material for the manufacture of glasses. Awhum Waterfall (The waterfall is as a result of massive outcrop of granite rock with water cascading over the top forming a stream). Milken Hills (about 100m above sea level, offering beautiful standpoint for a panoramic view of Enugu metropolis, especially at dawn and dusk). Africa Princess Resort, Ezeagu Tourist Complex, Ugwueme/Udi Hills, Ani Ozalla Lake. Enugu Museum (houses artefacts dating back from the Stone Age to the post-colonial era). Ogelube Lake (a tropical oligotrophic lake having a desmid dominated phytoplankton with maximum density during the warmest season). Macdavos Resort, Polo Amusement Park (now converted to a huge shopping mall, ‘Shoprite’, is ideal place for people wanting to shop and relax after a busy day on a visit to Enugu). Eastern region parliamentary building, The old government lodge, Enugu golf course, Enugu zoological garden, Bona Gallery, Institute of Management and Technology (lMT) sculptural garden and art gallery, The University of Nigeria, Onuiyi Haven etc. Imo State, which derives its name from Imo River, was created by Gen. Murtala Mohammed in 1976 and is also known as “Eastern Heartland”. Owerri is its capital and largest city. The state is divided into 27 Local Government Areas. The area known as Imo State today was originally part of the defunct East Central State. Imo State got its name from Imo River, which originates from the Okigwe/Akwa upland. The state has a projected population of about 5 million with the population density varying from 230-1,400 people per square kilometres. She has a land mass of about 5,100sq km and occupied by culturally homogeneous people which are primarily Igbo speaking state with subtle nuances in dialects. She has a very rich cultural heritage which is exhibited in dressing, music, dance, festivals, arts and crafts, and the immeasurable hospitality of the people. Imo State covers an area of around 5,100km2. It is bordered by Abia State to the east, by the River Niger and Delta State to the west, by Anambra State to the north and Rivers State to the south. The state is rich in natural resources including crude oil, natural gas, lead, zinc, iroko, mahogany, obeche, rubber trees and oil palms. The rainy season begins in April and lasts until October with annual rainfall varying from 1,500mm to 2,200mm. The dry season includes two months of Harmattan from late December to late February. The hottest months are between January and March. Other important cities and towns include Owerri, Mbaise, Orlu, Oguta, Okigwe, Uzoagba, Emekuku, Mgbidi Nkwerre, Agu, Orie, Obowu, Ideato etc. Oguta Lake, Oguta (Oguta Lake is the largest natural lake in Imo State and is believed to have originated from a natural depression). Imo Wonderlake Resort, Oguta (second largest freshwater lake in Nigeria and it is surrounded by evergreen environs of the poetic beauty). Amadioha Shrine (mysterious shrine with many more mysterious destinations). Abadaba Lake Resort (has a fresh and muddy colour water body which is festooned with a luxuriant raffia palm and bamboo trees adding to its aestheticism). Nekede Zoo (a biological garden complex that has stock of diverse animals stretching from Lions, Pythons, Monkey, Ostrich, Cattle Egret, Guerrilla, and different birds). Ngwu Spring Natural Water (a sparkling natural water, pure and crystal-like formed by the cascading spring water with a mysterious character of high volume in the dry season). Ada Palm Plantation Complex (established in 1974, remains the biggest and most productive oil palm plantation in West Africa). Asumpta Cathedral (is acclaimed to be the biggest Catholic Church in West Africa, built in Italian architectural design). 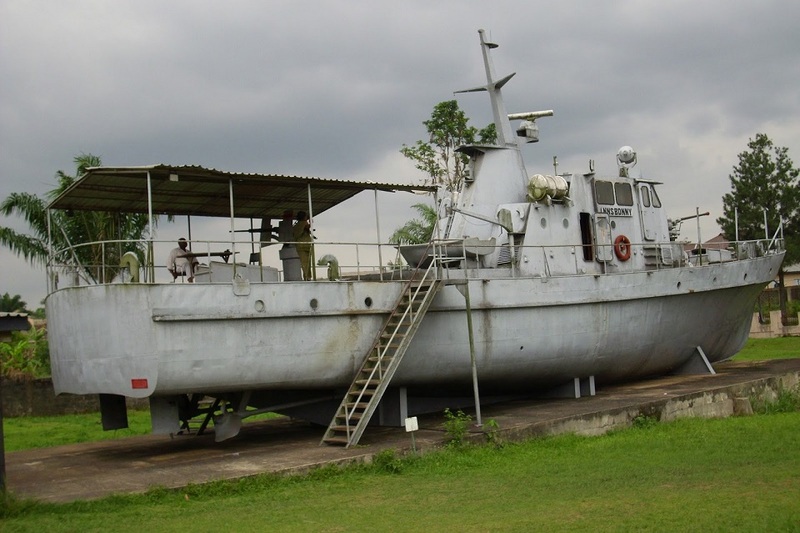 Mbari Cultural & Art Centre, Owerri (an open-air museum that houses enormous arts that portrays peace, prosperity and social life in Igbo land). Eze Silver Ibenyi Ugbala II Palace, Orlu (a traditional court palace with its mysteries, historical and archaeological discoveries which serves as a custodian of Igbo culture and traditions). Palm Beach Holiday Resort, Awo-Omama (is a beach that is concomitant with palm trees and gorgeous environment for relaxation).